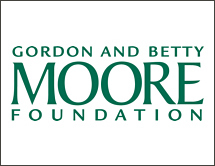 Established in September 2000, the Gordon and Betty Moore Foundation seeks to create positive outcomes for future generations. The Foundation operates in three specific areas of focus - environmental conservation, science, and the San Francisco Bay Area - where a significant and measurable impact can be achieved. Distinct initiatives have been created within these three program areas, employing a portfolio of grants to help achieve targeted, large-scale outcomes in a set time frame. Within the Environmental Conservation Program, the Marine Conservation Initiative’s goal is to achieve progress towards resilient and productive marine ecosystems in British Columbia, the U.S. West Coast, and New England by implementing area-based management and reforming fisheries management.